When you think of safety, what comes to mind? OSHA standards for workplace practices? Guidelines for preventing accidents at home? How about factors that contribute to or characterize success in marriage? That’s my focus here. Specifically, I focus on the critical role that types of safety play in having a “healthy” marriage. Why the emphasis on healthy? The reason is historical. “Healthy marriage” became an important way to express one of the chief goals of efforts over the past 15 years to help people strengthen their relationships and families through community-level programs funded by the government. As various leaders in this movement expressed early on, marriage for the sake of marriage was not the goal as much as were healthy marriages (and relationships); those are the types of relationships that most contribute to adult, child, and family well-being. While there remain numerous ongoing discussions (and arguments) about programs and strategies, the emphasis on healthy was helpful, and it remains so to this day. This type of safety is a bedrock requirement for a healthy marriage or other relationship. There should be no threat of being physically harmed, nor should either partner be physically or emotionally intimidated by the other. I have had extensive discussions with many experts in domestic violence over many years’ time, and one red flag that they widely agree on is fear—fear of being hurt or controlled by one’s partner, or fear that others will be hurt. Unfortunately, not all who are in danger have as much fear as they should, which can be one factor contributing to their remaining in harm’s way, but many of the people in the most unsafe relationships have chronic fear of their partners. Beyond situations of extreme danger, many couples have had arguments that crossed the line into aggressive behavior such as pushing, shoving or slapping. While such behaviors may not rise to the level of abuse that those who work in domestic violence shelters typically see, such aggressive behavior is common in the relationships of young people,[ii] including in the premarital history of couples who are newly married. [iii] Unsurprisingly, aggression in relationships is associated with lower relationship quality and a host of other risks. All aggression in intimate relationships can be dangerous. The most dangerous patterns involve aggression that leads to injuries and/or ongoing control and intimidation. [iv] If you or someone you know is in an unsafe relationship, know that there are people who are eager to help. The phone number for the National Domestic Violence Hotline is 800-799-7233. There are scores of studies documenting that couples who struggle in marriage, and who are most likely to divorce, tend to have more frequent and intense conflicts. [v] Howard Markman and I refer to specific patterns of negativity as “communication danger signs” while similar patterns were more creatively named the “four horsemen of the apocalypse” by John Gottman. 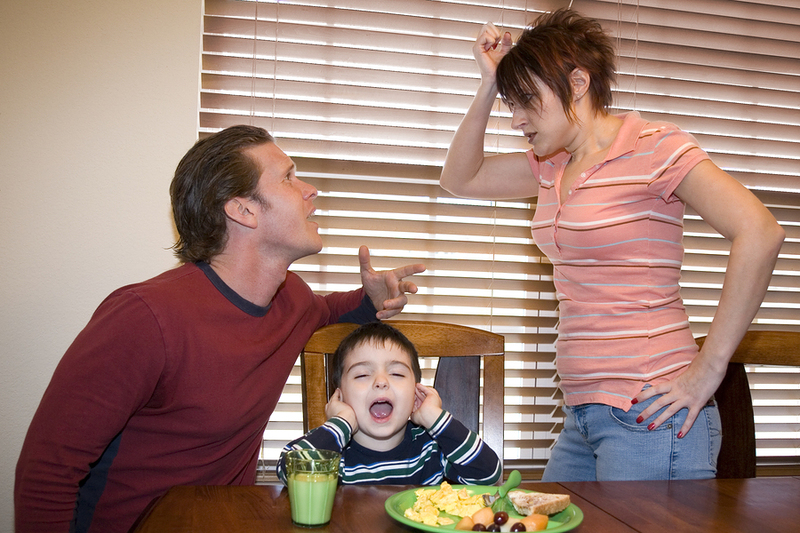 Regularly getting into heated exchanges or withdrawing into silence is common—but so is divorce. The patterns we and others describe are hallmarks of marital distress. Negative patterns of interaction are not hard to spot. It’s pretty clear when an argument is escalating or when one partner is putting down or showing contempt for the other. What’s not as obvious is the way such patterns wear away what people deeply desire in marriage: emotional safety. Emotional safety means being able to be yourself and feel connected to your partner. When a couple has this, each partner can raise concerns and express vulnerabilities without fear of rejection. Emotional safety is a work in progress for most couples, and it does not mean arguments never get heated. But if each partner does what he or she can to make their relationship emotionally safe, that couple is well on the way to a great marriage. A couple in a thriving, healthy marriage does not merely have a solid, day-to-day connection. There will also be an abiding sense of having a future together, a sense that provides a secure attachment that benefits both the spouses and children. [vi] Security about the future—commitment safety—is crucial because most people do not invest in something, whether a financial asset or a relationship, without some reasonable confidence in what is out there on the horizon. A robust literature demonstrates that a strong sense of commitment is associated with curtailing various negative impulses while fostering behaviors that are good for the relationship. [vii] For example, small and positive sacrifices are believed to signal commitment from one partner to the other, enhancing the sense that the relationship can be trusted. [viii] Commitment in action also means prioritizing the relationship among competing alternatives, including protecting a marriage from neglect or affairs. It takes two to tango, as they say. When both partners are committed to the dance, it’s likely to be a lasting and close one. Every theme I’ve covered so far has to do with attitudes and behavior. Although we often think of these things as under the control of individuals, attitudes and behaviors do not operate in a vacuum. Community safety refers to the context of a marriage. Is the environment safe? Are there sufficient resources? Jobs? Health care? Is there stress from poverty or anxiety about crime? Are transportation and good food accessible? These are far from academic questions for many families, and they highlight how important context is for marital health. Think of a couple like a plant. All other things being equal, the plant with better soil, nutrients, and mix of rain and moisture thrives. While some hardy plants make it in poor soil, the odds are longer. Paradoxically, it may be both more difficult and more crucial for couples in the toughest contexts to hang together and support each other in life. But such couples will have a harder time. In terms of personal advice, we all ought to try to play the hand we are dealt as well as we can, but make no mistake—the hand matters, and many couples need more of a different sort of hand to help them up. Policy-makers can keep looking for ways to alleviate contextual strains on families through wiser incentives, elimination of disincentives to family stability, and policies that may increase resources for those who are most vulnerable. These four types of safety are interrelated in the overall health of a marriage. For example, Howard Markman and I have observed that couples who are not able to manage emotional safety tend to threaten the whole future of their marriages when their arguments escalate. “Why did I marry you anyway?” “Why should we stay together?” “Maybe you should move out!” Such statements are often uttered in moments of great frustration, but they do lasting damage to whatever level of commitment safety a couple has built up. Conversely, as noted earlier, commitment favors preserving the relationship. It not only inhibits negative impulses of the moment, but can lead to an expansive sense of a shared future that leads to positive investments by both partners for the good of the marriage. 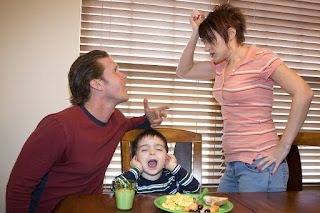 Contextual stress decreases the odds of marital success and family stability in many ways. [ix] External stressors exacerbate negative patterns of interaction, for instance. [x] Further, financial hardships make it difficult for some who value marriage to contemplate the possibility of achieving a lasting marriage themselves. [xi] These are complex challenges to overcome. The good news about the interrelatedness of these dimensions of safety is that making progress on one dimension can help lead to growth in another. I have heard plenty of people argue that one dimension is pre-eminent, and, therefore, that dimension should get the most attention. I say, instead, to go after the one that is nearest. Start making progress on any dimension while you consider how to tackle the others. That goes for your own life as well as for all your efforts to help others. Few would say that safety is the chief end of life. Without safety and security, however, there isn’t much of a platform for those things that have the deepest meaning in family life. Thus, some types of safety comprise the means to the most important ends. [i] The comprehensive list of four aspects of safety, as discussed here, appears in our relationship education curricula, with the full model first appearing in: Stanley, S. M., Markman, H. J., Jenkins, N. H., Rhoades, G. K., Noll, L., Ramos, L. D. (2006). Within Our Reach Leader Manual. Denver: PREP Educational Products, Inc.; We presented earlier discussions of safety as a theme for understanding relationship quality and health in various publications, including: Stanley, S.M., Markman, H.J., and Whitton, S. (2002). Communication, conflict, and commitment: Insights on the foundations of relationship success from a national survey. Family Process, 41, 659-675.; Stanley, S. M. (2005). The power of commitment. San Francisco: Jossey-Bass. ; Stanley, S. M. (2007). Assessing couple and marital relationships: Beyond form and toward a deeper knowledge of function. In S. Hofferth and L. Casper (Eds. ), Handbook of Measurement Issues in Family Research (85 - 99). Mahwah, NJ: Lawrence Erlbaum Associations. [ii] For example: Capaldi, D. M., Kim, H. K., and Short, J. W. (2007). Observed initiation and reciprocity of physical aggression in young, at-risk couples. Journal of Family Violence, 22, 101 - 111.; Rhoades, G. K., Stanley, S. M., Kelmer, G., & Markman, H. J. (2010). Physical aggression in unmarried relationships: The roles of commitment and constraints. Journal of Family Psychology, 24, 678-687. [iii] Rhoades, G. K., and Stanley, S. M. (2014). Before “I do”: What do premarital experiences have to do with marital quality among today’s young adults? University of Virginia: National Marriage Project. [iv] Johnson, M. P. and Leone, J. M. (2005). The differential effects of intimate terrorism and situational couple violence: Findings from the National Violence Against Women Survey. Journal of Family Issues, 26, 322-349.; Hardesty, J. L, Crossman, K. A., Haselschwerdt, M. L., Raffaelli, M., Ogolsky, B. G., and Johnson, M. P. (2015). Toward a standard approach to operationalizing coercive control and classifying violence types. Journal of Marriage and Family, 77, 833 – 843. [v] e.g., Gottman, J. M., and Notarius, C. I. (2000). Decade Review: Observing marital interaction. Journal of Marriage and the Family, 62, 927-947. [vi] Stanley, S. M., Rhoades, G. K., and Whitton, S. W. (2010). Commitment: Functions, formation, and the securing of romantic attachment. Journal of Family Theory and Review, 2, 243-257. [vii] e.g., Rusbult, C. E., Zembrodt, I. M., & Gunn, L. K. (1982). Exit, voice, loyalty, and neglect: Responses to dissatisfaction in romantic involvement. Journal of Personality and Social Psychology, 43, 1230-1242.; Slotter, E. B., Finkel, E. J., DeWall, C. N. Pond, R. S., Lambert, N. M., Bodenhausen, G. V., and Fincham, F. D. (2012). Putting the brakes on aggression toward a romantic partner: The inhibitory influence of relationship commitment. Journal of Personality and Social Psychology, 102(2), 291-305. [viii] Wieselquist, J., Rusbult, C. E., Foster, C. A., and Agnew, C. R. (1999). Commitment, pro-relationship behavior, and trust in close relationships. Journal of Personality and Social Psychology, 77, 942-966. [ix] I do not agree with some of the reasoning in this piece but the authors make many excellent points: Karney, B. R., and Bradbury, T. N. (2005). Contextual Influences on Marriage: Implications for Policy and Intervention. Current Directions In Psychological Science, 14(4), 171-174. [x] Conger, R., Elder, G. H., Lorenz, F. O., Conger, K. J., Simons, R. L., Whitbeck, L. B., Huck, S., and Melby, J. M. (1990). Linking economic hardship to marital quality and instability. Journal of Marriage and the Family, 52, 643-656. [xi] Edin, K., and Kefalas, M. (2005). Promises I can keep: Why poor women put motherhood before marriage. Berkeley, CA: University of California Press.